ORLANDO, Fla. -- Families of three patrons killed in the Orlando nightclub massacre sued Facebook, Google and Twitter, claiming the gunman who killed their loved ones was radicalized through propaganda found on social media. The families of Tevin Crosby, Juan Ramon Guerrero Jr. and Javier Jorge-Reyes filed the lawsuit Monday in federal court in Michigan. They are seeking an unspecified amount of money under a federal law that allows the estates of victims of terrorist attacks to sue anybody who provided “material support” to the terrorists. 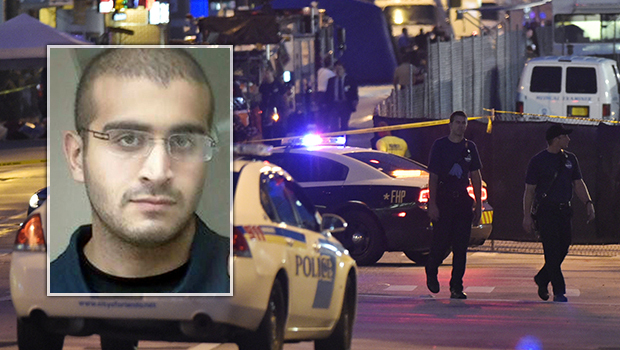 The families in this lawsuit argue that without Google, Twitter and Facebook, gunman Omar Mateen never would have been inspired to carry out the massacre at the nightclub, CBS News justice reporter Paula Reid reported. The complaint said terrorist groups like the Islamic State of Iraq and Syria (ISIS) use social media to spread their propaganda, raise money and recruit potential terrorists like Mateen, who opened fire in the Pulse nightclub where 49 patrons were killed in the worst mass shooting in modern U.S. history. During the June rampage, Mateen pledged allegiance to ISIS in telephone conversations with a 911 operator and a police negotiator. He was killed in a shootout with SWAT team members after a three-hour standoff. The social media companies should be doing more to delete the accounts of members of ISIS, and detect “replacement” accounts created after previous accounts are deleted, the lawsuit said. “Most technology experts agree that defendants could and should be doing more to stop ISIS from using its social network,” the lawsuit said. Facebook said in a statement the company takes the threat from terrorists seriously. Representatives of Google and Twitter didn’t respond to email inquiries. In that case, a federal judge in San Francisco agreed with Twitter that the company cannot be held liable because federal law protects service-providers that merely offer platforms for speech, without creating the speech itself.